When the weather is treating you right, it's always a good idea to go with linen. Futhermore, these are those days when it's alright to wear some a little more more lively colors. As an example, here's something from a casual Friday at work earlier this summer. The suit is from SuitSupply (Soho fit, wool/linen), pique shirt from Gran Sasso, silk knit tie from Berg & Berg, cotton pocket square from Drake's London, suspenders from Albert Thurston, tassel loafers from Septieme Largeur and portfolio from Berg & Berg. The pique shirt makes an interesting option for a casual look and works well all by itself. I wouldn't use it with anything more formal than this, but in my opinion it does compliment this look rather beautifully. Drake's London beach print pocket square from last summer's collection. 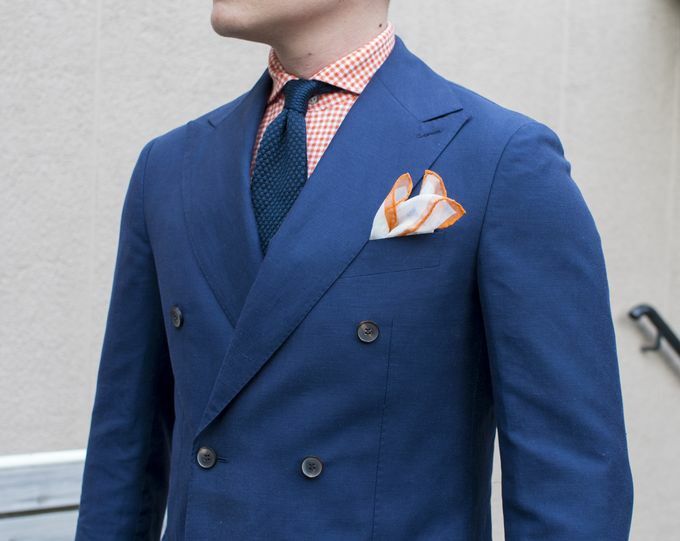 The perfect fabric weight for a pocket square, and the colors are just right. Not too saturated but slightly faded, even, making the bright orange look more casual and relaxed. 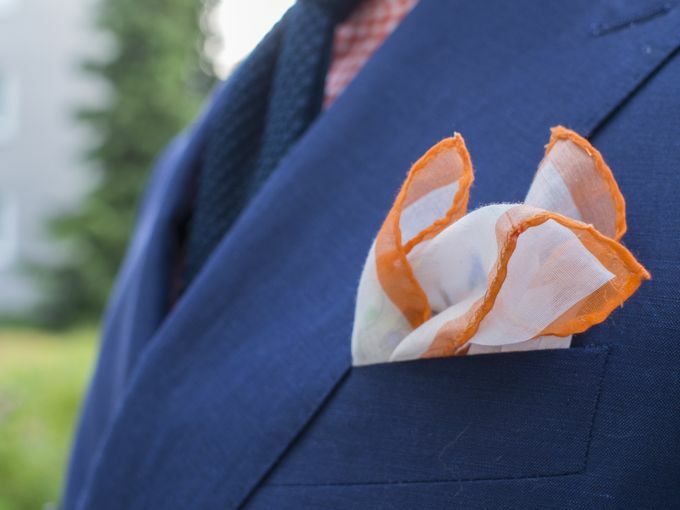 As always, forget those shiny 100% silk pocket squares during the summer months (and preferably during the winter as well). 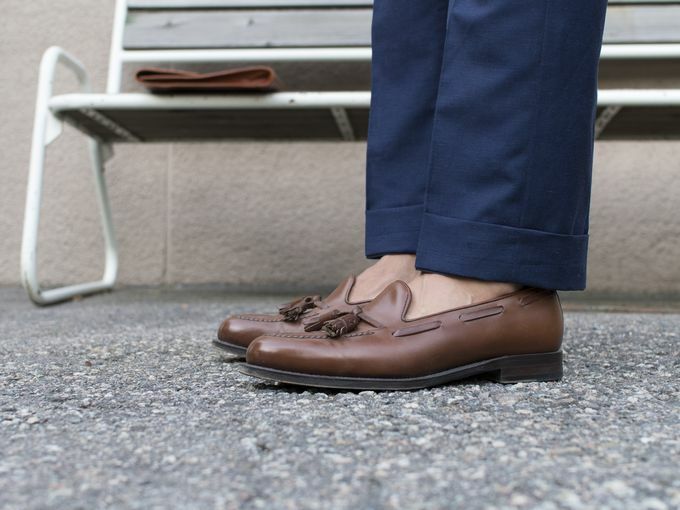 And lastly, a neat shot of my Septieme Largeur loafers with a little bit of extra shine at the tips. 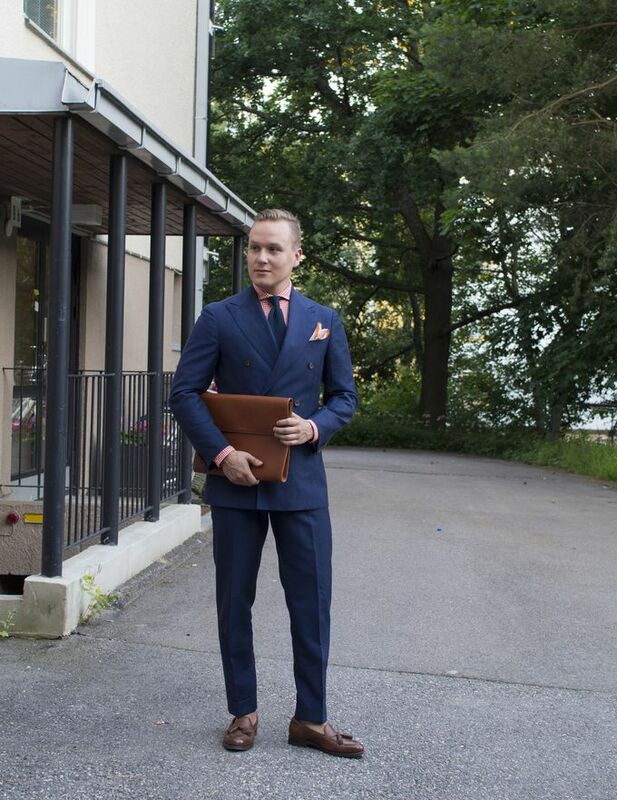 The suit trousers have been altered to 2"/5cm cuffs, as always.